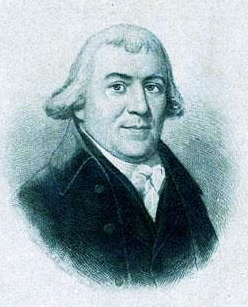 "Creed of a Rioter" was written by James Iredell and is presumed to be a satirical response to the failed reelection of Samuel Johnson to North Carolina's 5th Provincial Congress. Johnson was Iredell's law teacher and brother-in-law. It appears a great effort was made to poison the minds of the people to not reelect Johnson, who had previously been identified as a strong supporter of measures to seek independence. As satirical response, "Creed of a Rioter" serves as a sarcastic exaggeration and criticism of the foolishness of radicals who attacked Johnson's character on charges based, perhaps, on his wealth, social position, and kindness toward Tories. I am a sworn enemy to all gentlemen. I believe none in that stationcondition or class of life can possibly possess either honor or virtueIn the eighteenth century English and Americans used virtue in a very masculine sense, to refer to the virtues of a responsible citizen of a republic. Some key virtues were industry (meaning hard work -- industriousness -- not factories) and frugality, a willingness to make do with little and not indulge in unnecesary luxuries. These ideas went back to ancient Rome. Many American leaders in the 1770s wanted to create a republic along the lines of the ancient Roman Republic, which had stayed strong, independent, and (more or less) democratic for hundreds of years.. I believe the best way to have a good understanding, is never to cultivate the mental powers, and that the most ignorant in appearance, are in fact the most knowing. I impute to gentlemen all our present difficulties. If they had not been so cunning as to foresee distant evils, we should never have dreamt of them. We should then have been probably happy slaves, and the Parliament, finding no opposition from us, would, I doubt not, have treated us with no more rigor than was absolutely convenient for their purposes. I think the supreme felicity of life is to eat and drink, and as I cannot do that in my present situation quite as well as I used to do, I despise all the pretences of virtue which are urged to make me easy under it. Let every man take care of himself is my maxim. The public interest is too troublesome to attend to. What care I who the devil is miserable, if I am not so? I believe I have a right to take another man's property, if it will be useful to me. I surely am not to suffer, for fear of being called a robber. I think I have a right, if I can, to shift distresses from my own shoulders, and put them on those of my neighbors. I am none of those over-wise and irreligious men, who are always thinking of the future. I devoutly obey that saying in Scripture, -- "Let us eat and drink, -- for to-morrow we die." As I have the utmost confidence that all my own opinions are right, I despise every man who differs from me. I am sure he must be a toryTory was the name given to a British conservative. During the American Revolution it referred to someone who remained loyal to the crown and opposed the resistance and independence.. I think a man more liable to be a tory, who has hitherto been most earnest in the cause, and sacrified great interests to it; because I have no opinion of any man's acting from a principle of virtue alone, and therefore I can consider such a one in no other light than as a madman, who certainly will be as glad to lose his head as he has already been solicitous to forfeit his fortune. I think that man alone a whigA whig, in eighteenth-century Britain, was someone who believed in constitutional law and opposed absolute monarchy. In the American Revolution, it came to mean someone who supported the American cause and the principles of self-government., who has sagacity enough to mind his own interest, resolution enough to plunder his neighbors, who views the storm cooly at a distance, and discovers his principles by getting honesty drunk and abusing gentlemen. Lastly, I am of opinion that our affairs would prosper much better, if gentlemen who read and consider too deeply for us, were totally banished from all public business, and if those who neither read nor think at all (and consequently cannot injure us by the excess of those practices) were intrusted with the management of our present arduous concerns. All the above I verily and truly believe, and G____d A____y d____n all those who differ from me. I believe it honorable and proper to persecute poor distressed individuals, when we have them in our power, provided we want courage to prove, in any other manner, the alacrity of our zeal against those we suppose enemies of our country. Ashe, Samuel A. History of North Carolina, volume 1, from 1584-1783. Charles L. Van Noppen, 1908, pp. 558–559. An 1889 engraving of James Iredell, Sr. by Albert Rosenthal. Image from the North Carolina Museum of History.